We recommend the longer rope for persons with a height more than 1.75 m.
The Excellerator skipping rope Professionell PVC is equiped with smoothly-working ball-bearings which let the rope rotate in a constant way without kinking. 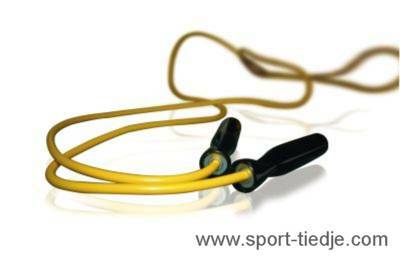 This makes high rotation speeds possible with the Excellerator skipping rope. In combination with a solid 8mm rope, an optimal competition workotu is guaranteed. The ergonomically formed grips of the Excellerator skipping rope Professionell PVC Jumbo can be equiped by optionally available additional weights to exercise wrists and arms.